Warning: this is a strange post, probably the strangest I've ever written. In a way, it's a transmission direct from Planet Borepatch. Don't say I didn't warn you. In the beginning, nobody knows how something "should" work. When a new opportunity to do something differently comes around, you typically see a lot of different things get tried. This applies to people, when a newfangled way of doing something gets proposed. This also applies to nature, where a major ecological shift opens up new evolutionary pathways. Paleontologists call this Adaptive Radiation followed by Decimation, and is best illustrated by the sudden appearance of almost all modern animal families in the Cambrian Explosion (ca 540 M years ago), followed by the extinction of many other animal families soon after. Many of these extinct organisms are captured in the Burgess Shale, probably the most important fossil field ever discovered. The definitive work on the subject is Steven Jay Gould's Wonderful Life. The Burgess Shale is important for two reasons: first, it's very, very old, dating back almost all the way to the Cambrian Explosion itself. It gives a record of the animals alive only ten or twenty million years after the beginning of the Cambrian period. Second, it preserved as fossil not only hard shell and skeleton remains, but soft tissue as well. This is incredibly unusual, and the combination gives us an extremely detailed record of life in the Early Cambrian, when modern animal forms had only just emerged. All initially viable designs in the Brave New Multicellular World, but soon gone in the subsequent Decimation. We see this when evolution is driven not by mutation but by human ingenuity, and weeding not via Natural Selection but via the Market. Automatic pistol designs exhibit a very similar "radiate and decimate" pattern. Autoloading pistols also appeared suddenly, with a flurry of experimentation in the 1880s and 1890s. The "Cambrian Explosion" event seems to have been Hiram Maxim's invention of the recoil-operated machine gun, which set tinkering minds to work on a miniaturized design suitable for a pistol. What we saw was an explosion of initial designs (including from Maxim himself), rapidly followed by a decimation to the remaining pistol families we see today. 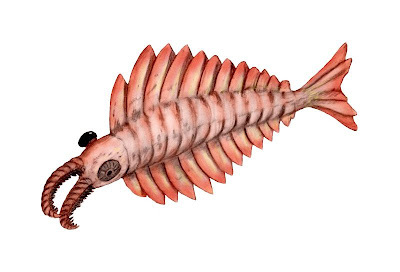 But some of those early designs are as wild as Hallucigenia. The Webley-Fosbery Automatic Revolver, with one foot in the old and one in the new. 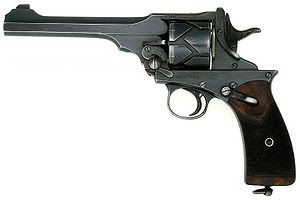 The top of the revolver recoiled backwards on a track in the top of the base; a pin mounted on the bottom caused the revolver to rotate, as it moved in the groove in the cylinder. Schonberger-Lauman 1892, the precursor to the Schonberger 1893, the first commercially sold automatic pistol. The late Ian Hogg describes it in his Illustrated Encyclopedia of Firearms: The mechanism is absolutely unique in pistol design, since it relies upon the setback of the cartridge cap due to the explosion pressure in the case. The bolt is locked by a cam surface on a forked arm; when the pistol is fired, the cap sets back about 0.18 of an inch, imparting movement to the heavy striker before the cap is stopped by the face of the bolt. This slight movement is sufficient to cause a lug on the striker to disengage the locking cam, so leaving the bolt free to recoil, swinging the forked arm back against a spring ready to close the bolt once more. Schwarzlose 1908 Blow Forward design. The breech block was part of the pistol's frame; firing the cartridge caused the barrel to run forward. There is no slide - rather, the pressure of the expanding gas and the friction of the bullet drove the barrel forward against a spring. The expended case was ejected, a new cartridge was loaded, and the spring pushed the barrel back into place ready for the next shot. The Pieper 1907 had a tip-down barrel, below the recoil spring unit housed in a tunnel on the top of the pistol. The design was unique for how slender the final product was, which resulted in a continuing popularity despite its very high manufacturing costs. 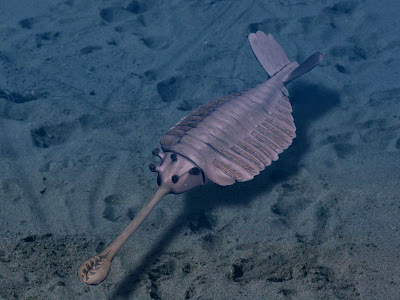 Both the fauna of the Burgess Shale and the early automatic pistols went through a Decimation phase, where a large number of designs were weeded out. The Burgess fauna converged on the major phila that we see today - arthropods, chordates, gastropods, etc. The automatic pistols market was revolutionized first by the Luger, and even more so by the 1911. Why? There's a deeper reason, and it is the thesis here. 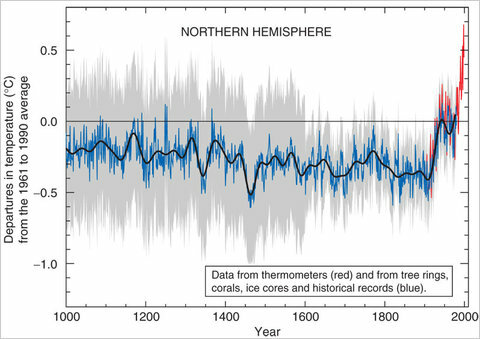 It's a natural switch from non-zero-sum to zero-sum competition. At the time of the Burgess Shale, that switch hadn't yet taken place, and in the non-zero-sum "Expansion" phase, things are more forgiving. Once you switch to the zero-sum "Competition" phase, creatures which were viable before cease to be, and will die out. 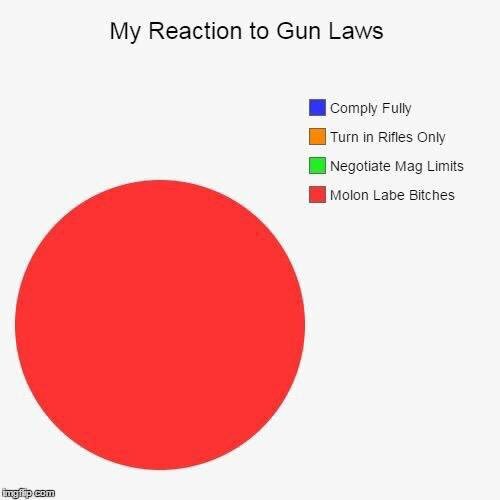 This sounds right, and seems to apply to pistols as well. Initially production runs are small and the novelty is itself a selling point. But eventually customers begin to figure out how to discriminate more effectively. Some designs were too expensive to be competitive (Pieper), some too cumbersome (Webley-Fosbery), fragile (Luger), or requiring bizarre and hard to find ammunition (Schoenberger). We're not sure why the Burgess fauna suffered so many extinctions, but the reasons could very well be similar: some bred more slowly (like today's tigers), or ate specialized food (like today's Koalas), or were too fragile to deal with evolving predators (in particular, this may have been Anomalocaris' fate). Materials science moves on and yes, we're living in The Future, but as it turns out, round is still a good shape for a wheel and rubber makes pretty good tires. Ingenious design is a marvel to behold, but a pistol's business is serious work. Reliability, ease of maintenance, availability of ammunition all provide incremental but (over time) irresistible pressure towards what works. Even an advantage of a few percent in efficiency can be enough for a species to win out over thousands of generations of evolution, or for a pistol to guarantee Great War contracts. A note to anyone who actually read this far: there is an excellent Web site that deserves your attention. The Corps of the Royal Electrical and Mechanical Engineers in Reading, UK has an outstanding collection of historic weapons, automatic pistols among them. I wish I had know about their museum back when I lived in Blighty. To any UK readers, this might be worth a journey. Excellent post. "Wonderful Life" remains one of my favorite reads from Gould, a gem among gems. The Cambrian Explosion is such a fantastic illustration of the start-point of so many things, when an environment is capable of supporting so much variation... until "what works better" eclipses "what works." Anyone interested in paleo should have a copy of the BBC show "Ultimate Dinosaur Collection" which devotes a respectable amount of time to the Paleozoic and some of the cool beasties that lived then. Decent science, good FX, and fun presentations all around. And nowadays I believe I've read somewhere that they've turned Hallucagenia upside down as compared to the presentation in Wonderful Life and it makes more sense. Old friend of mine from back in grad school got a chance to sing with SJG in a local chorus before he died - said he has a gorgeous voice. Hardly a strange post! A great one. Also besides strange actions, there were a ton of pistols that loaded from stripper clips into fixed magazines! Hard to imagine these days. I just found this in my refers, and I thank you for your kind words. 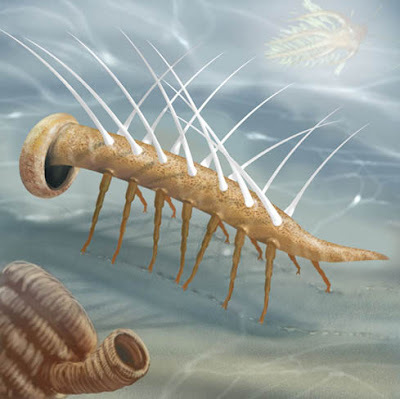 Just wanted to mention that the original image of Hallucigenia with the spikes on the bottom and the tentacles on top was later realized to be wrong. The tentacles are legs and go on the bottom. The spikes are for defense. Once this was realized, it also turned out that Hallucigenia landed squarely in a known group of creatures. That happened after "Wonderful Life" was published, but Gould talked about it in one of his articles in Nature, and it ended up in one of his collections. The wikipedia article you linked to describes that and includes a more modern reproduction of the critter. In the mean time, there's no doubt that you're right that the "early experimentation, later standardization" happened in automatic weapons just as it did in cars, and airplanes, and computers for that matter. 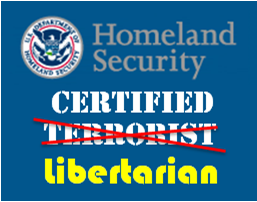 Consequently, you want to make sure that those experimenters (one of whom could someday hit on a successful solution, if there's one to be found) have easy access to capital, low legal and regulatory barriers to entry, and liberal bankruptcy provisions. The last, incidentally, was one of the many things European states—with their workhouses and poor laws—mocked about the early American republic; but the Founders got it—failing once doesn't brand you with failure. And, of course, watch designs and—like evolution seems to spread successful traits throughout populations—you can see designers borrowing other successful designs, tweaking them, and on and on ad infinitum. 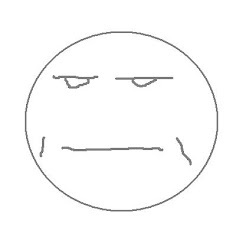 Did I write “two sense?” Good God, man, where’s my coffee? a couple of clarifications though. I think complex and expensive manufacture was the Luger's main downfall (something like over 800 seperate machining ops -that's a lot of machinery, tooling, tool setters and operatives for one pistol, when a sten can be made at home and is far more effective as a fighting tool). as a gun, it actually lasts a lot longer and remains accurate for many more thousands or tens of thousands of rounds than a Browning style locked breech pistol. 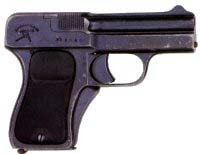 As to the semi rim, the early Luger 9mm chambers were stepped, the case originally headspaced on a tiny bottleneck shoulder. I'm not sure who came up with the idea of headspacing on the front of the case, or when. I still can't explain why it took Colt so long to headspace .38 Supers on the case mouth though. The schwarzlose blow-forward still has progeny available, in the form of semmerlings from texas derringer: six shots of .45 ACP in a pistol not much bigger than a .25 auto (it survives-just, in a specialist niche). The Fosberry also has surviving progeny, from Mateba. Arguably, we still have dinasaurs too - they have feathers. You get all sorts of interesting specialist extremes in the stable good times(think Canadian Ross, US Krag, British SA80) however when times get bad, they are not long in dying off. however, in the small, protected environments of Government Bureaucracies, arses get covered and mistakes are perpetuated. A bit like soft bodied graptolites surviving on the Northern pennine blocks into the mid Carboniferous E2, long after they'd gone extinct in the rest of the world - or evolved into calcaraeous framed Bryazoans - depending on your point of view. ps, apologies for the graptolite thing, I don't often get to brag about finding the last one known! How do you back up your blog? We are no longer the Knights who say "ni"
God mocks me with his blizzards. "So much for 'Teabagger' jokes." 18th Brumaire of the Mullahs? Getcher patches! Microsoft security patches! "Never forget how much I loved you."